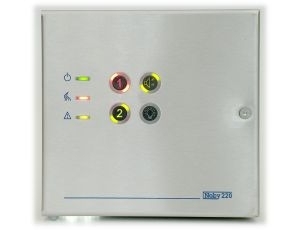 The Noby-220 is a compact two zone conventional fire alarm control panel offering a viable solution for mains-powered fire detection in the home or small business. Finished in a modern and attractive stainless steel facia and measuring just 6 inches square, the Noby-220 will sit comfortably in any public space. 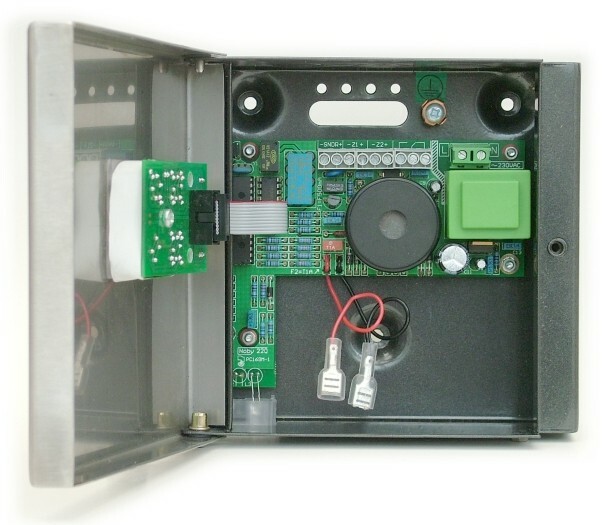 Pushbutton operation is both intuitive and user friendly. 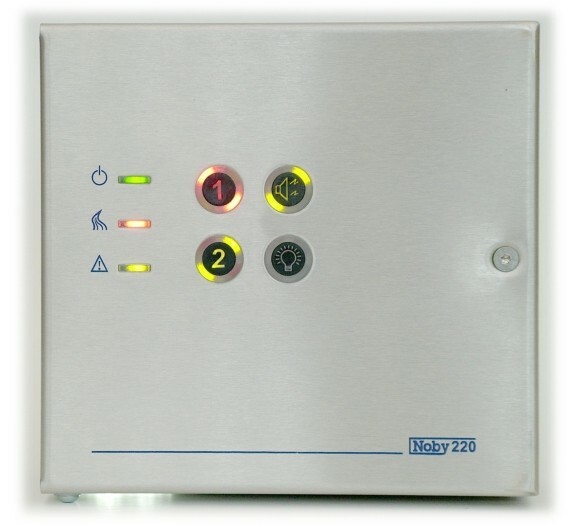 End-user functions such as one-touch muting and self-timed zone disablement make the Noby-220 an easy fire panel to live with, whilst a simple code sequence gives access to the more safety critical functions. Despite its small size the Noby-220 incorporates all the salient features normally attributed to its larger EN54 counterparts. In addition to comprehensive fault monitoring the Noby-220 also houses its own on-board 85dB sounder, and an integral LED fire alarm strobe that can also serve as a courtesy light or night light. With the installer in mind, the Noby-220 has three standard 20mm knock-outs in addition to two smaller cord-grip knock-outs (top and bottom). A handful of programmable options and a one-man walk test facility combine to make the Noby-220 the panel of choice for smaller installations. For full product information and manuals (PDF format) on the Noby-220, please go to our downloads section.